Do you like to express yourself in everything you do? By choosing one of our many Designer Contact Lens Cases, you'll be doing just that. Whether your passion is fashion, animals or sports, there is a pattern for you. 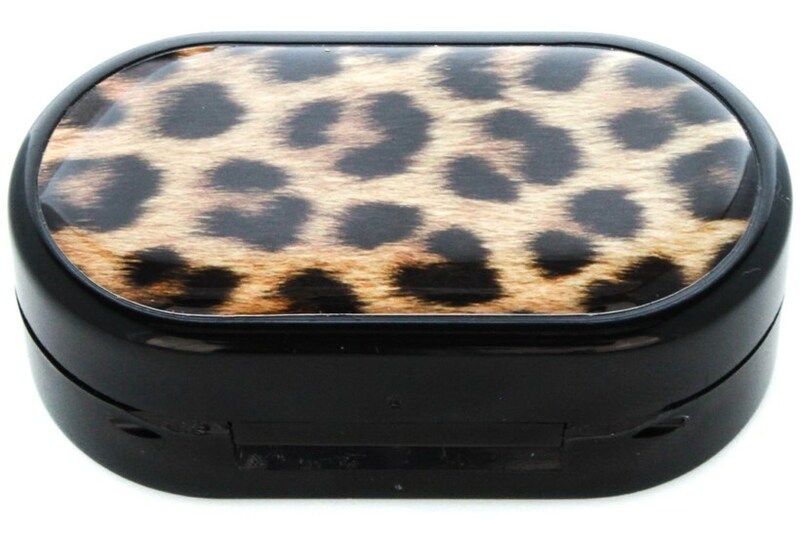 This case with a bold leopard print is made of durable plastic and feature an interior mirror for on the go application.